The wearer can attack a second time. At the beginning of their turn, the wearer can discard a club hand card. The range of this weapon then increases by two. Another attack must be used when attacking the second time. Extending the range of the weapon is optional. Otherwise the range remains the same. 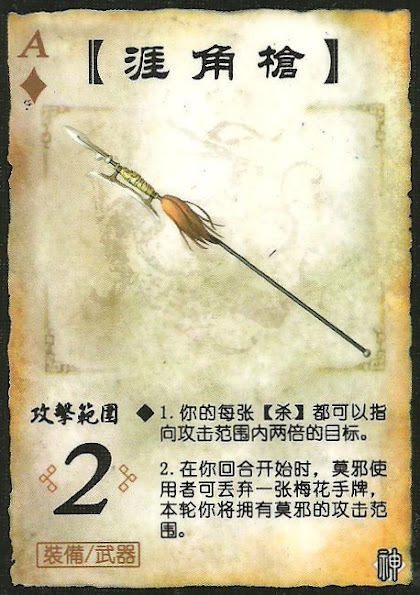 This weapon has exactly the same ability as the Ganjian Sword.